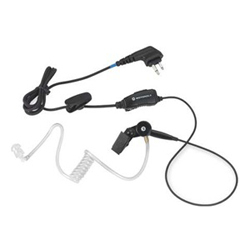 The Motorola HKLN4477A is a single wire surveillance earpiece for your Motorola RDX, XTN / CLS/ AX / DTR series radio. It allows you to talk and listen without holding your radio. The earpiece has an inline microphone and push-to-talk button for easy communication.